This 1.125" Christmas themed round die can be used on its own, or matched with our Scalloped Circle Vignette die (FRA9606) and used in the center. The small size lends itself to many projects. Use a 1.25" circle punch or die to create a clean layer border. This small Santa Hat measures 2.25" x 1.25". The perfect embellishment to a gift tag, or perhaps add the hat to family photos! The detail cut lines make it easy to snip off the trim and pompom if you wish to cut them from felt or white cardstock and layer them over the base hat for dimension. Features a Christmas Santa hat. Christmas themed craft die from Sara Davies featuring Santa Claus's suit. Pack includes 8 metal dies. Largest die size is approximately 2.1" x 1.6" (54mm x 42mm). Frantic Stamper Precision Die - Seasons Greetings Block. The Season's Greeting Block die measures 3.75" x 2.2". It features the phrase inside a rectangle frame, perfect for making shaker cards or adding to a tag! Our Frantic Stamper Precision Dies work in most consumer table top die cutting machines such as the PressBoss, Cuttlebug, Big Shot, vagabond, Boss Cut, and Grand Calibur. Some dies may require the use of a metal shim depending on your machine. Christmas themed stencils featuring tags and borders. Use these stencils to layer with inks, paints, stamps and more to create unique designs and paper crafts. Christmas themed craft die featuring Gift Tags. Thinlits create dazzling detailed shapes for more creative cardmaking and papercrafting projects. These wafer-thin chemically-etched die sets are designed to cut, emboss or stencil a single sheet of cardstock, paper, metallic foil or vellum. They are simple to use, compact and portable for cutting at home or on the go. Use them for enhanced intricacy and to add a special touch of inspiration to all your projects. The Thinlits dies in this set are compatible with the BIGkick, Big Shot and Vagabond machines. This package contains Christmas Phrases: a set of 9 metal dies measuring between .5x.5 inches and 2.5x.75 inches. Designer: Jen Long. This package contains Christmas Phrases #2: a set of 11 metal dies measuring between .625x.75 inches and 2.25x.875 inches. Designer: Jen Long. 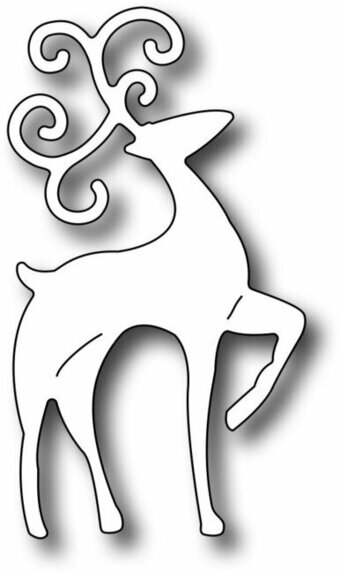 Santa's sleigh is being pulled across a Christmas sky by his tiny reindeer in this 5-1/2" X 2" stencil. 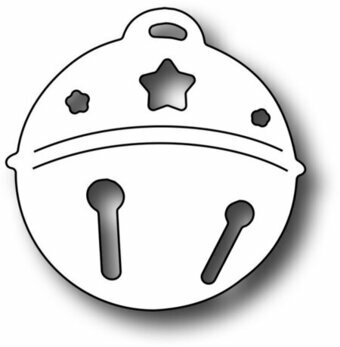 This cute sleigh bell die measures 1"x1". Yep, it's the perfect size for using in our vignette dies or 1.25" window dies (such as FRA9635). Cut out just one, or multiples to create a cluster of jingle bells! Frantic Stamper Precision Dies are proudly made in the USA! 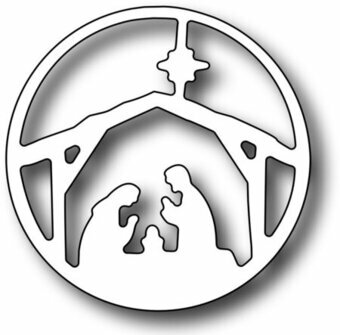 Our dies work in all table top consumer die cutting machines. Frantic Stamper Precision Die - Slender peace and joy. This set of 2 slender words are perfect for an Art Deco modern look. The "peace" die measures 3" x 1.55", and the "joy" measures 1.95" x 1.5". Our Frantic Stamper Precision Dies work in most consumer table top die cutting machines such as the PressBoss, Cuttlebug, Big Shot, vagabond, Boss Cut, and Grand Calibur. Some dies may require the use of a metal shim depending on your machine. The small snow globe was designed with gift tags in mind. 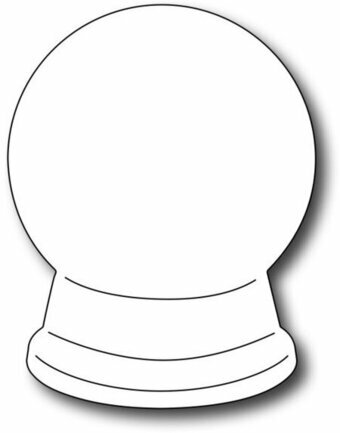 The snow globe measures 1.6" x 2". 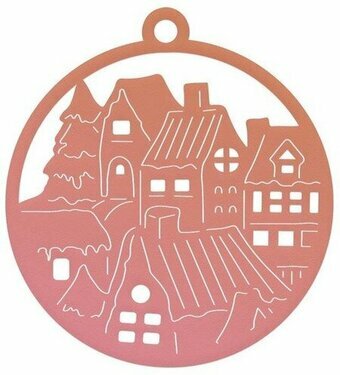 Shapeabilities Presents Holiday 2017 by Sharyn Sowell Etched Dies is a set of one with a sweet silhouette of children playing music and decorating the tree. Spellbinders Shapeabilities cut, deboss, emboss and stencil with a single etched die template. Children: 5.95 x 2.55 in. 15.10 x 6.50cm. Shapeabilities Charming Christmas Boughs Etched Dies A Charming Christmas Collection by Becca Feeken is a set of four dies that includes an intricate designed frame with three accent pieces that can be layered and displayed in the center of frame. Approximate size: Ornament Topper: 0.35 x 0.50 in 0.90 x 1.30 cm, Snowflake: 0.60 x 0.60 in 1.50 x 1.50 cm, Ornament Charm: 1.20 x 1.70 in 3.00 x 4.30 cm, Bough Frame: 4.50 x 4.50 in 11.40 x 11.40 cm. Approximate size: Stocking Charm: 1.85 x 1.10 in 4.70 x 2.80 cm, Decorative Inserts (3 pcs): 2.00 x 1.55 in 5.10 x 3.90 cm, Tag: 2.50 x 4.30 in 6.40 x 10.90 cm, Pocket: 3.05 x 2.30 in 7.70 x 5.80 cm.